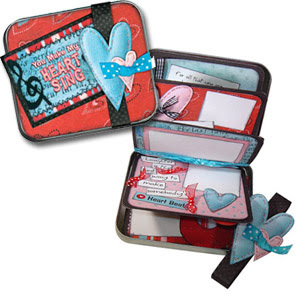 You could create this adorable 'Heart Throb' mini book in a CD Tin for someone who makes your heart sing this Valentine's Day! We will not be doing a formal class, but you can pick up a class kit or spend some time in our class studio during the day completing this project. All the materials you need are included-- just bring some adhesive, a paper trimmer & scissors with you! 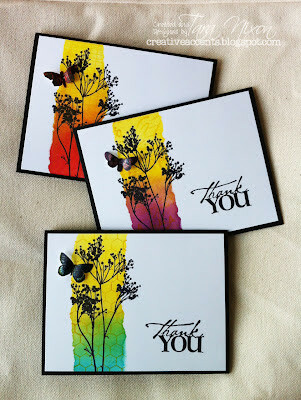 If you're doing it at home, you'll need some black distress or chalk ink to finish it off. This is supper cute! Now if I can find away to may Brooks Alberta closer to Creative Accents I'd be have some fun makin' this book. Too bad I'm in Québec City, or I'd drop in for a chat while making the great-looking "book in a tin"! how much is a take home kit Tara?